60-Day Money Back Guarantee + Free Shipping! Therapeutic OA Knee Pain Relief on the go! 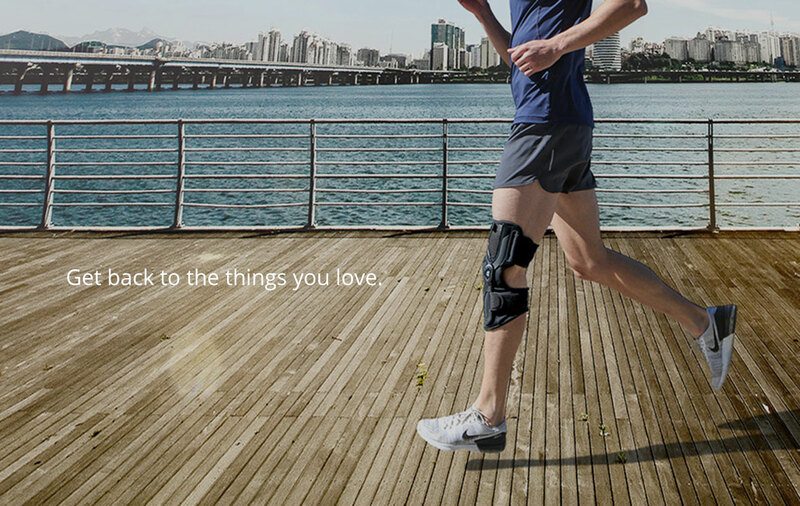 DDS’ newest innovation is the perfect solution for on-the-go individuals with OA knee pain. The LTS Hinge gently pulls in opposite directions, decompresses and unloads the knee joint. This reduction of pressure supports and stabilizes the knee, eases pain and assists in active rehabilitation. 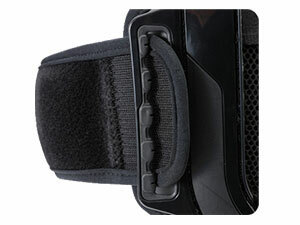 The LTS Hinge acts as a lever to displace heavy body weight away from the affected knee. 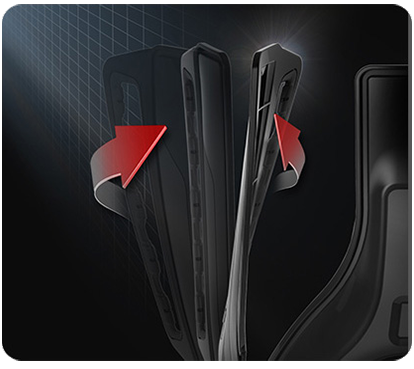 It is activated whenever the leg transitions from bent to extended positions. The hinge is strategically placed closer to the patella as opposed to the center of the joint when viewed from the side. This creates a fulcrum point away from the natural fulcrum point of the joint. 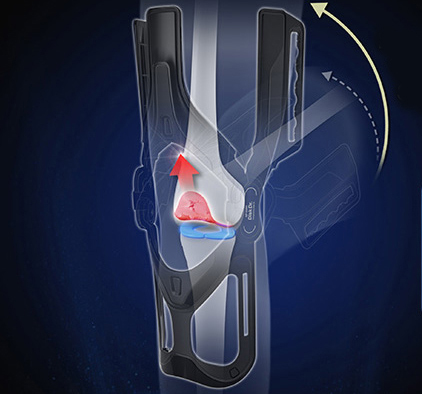 As the leg extends, the innovative shape of the LTS Hinge gently pulls in opposite directions, unloading the joint to provide immediate support for the affected area. 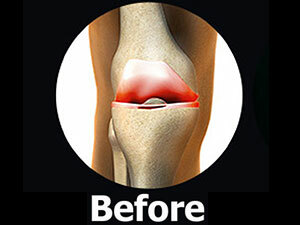 Osteoarthritis in the knee is the reduction of the natural cushioning between the femur and the tibia. When this occurs, the bones rub more closely against each other which often can cause pain, swelling and limited mobility. Weight is displaced from the affected knee. There is less contact between the bones and pain is relieved. Swelling is reduced with an increase in mobility. Made with durable materials & easily worn under clothing. 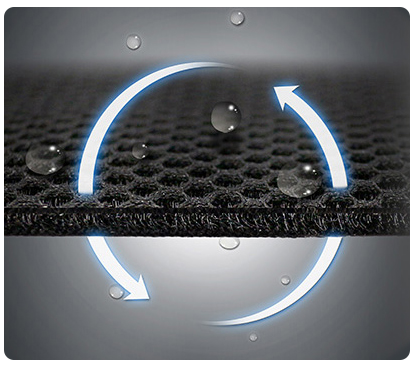 Air mesh fabric quickly moves sweat away from the body promoting rapid evaporation. 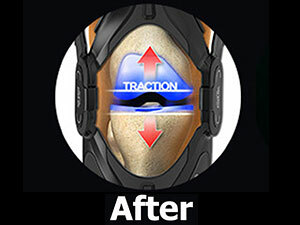 Kneetrac Lite is available for purchase. "I found great success after wearing the DDS 500 for just 1 week. I am 35 years old but suffer from ailments closer to that of a much older person. My doctor fitted me in his office and OMG! So awesome! I was able to go to the ball park and I truly felt safe. I used to sway back and forth when I walked and my back hurt really badly." "It gave me complete relief the first time. And actually each and every subsequent time. The DDS Max became my best friend as I healed. My wife called it my security blanket because I took it with me everywhere. I used it anywhere from 1 to 8 x every day. All that I needed was the cervical McKenzie positioning exercises and my DDS Max. No pain meds, no surgery.